We are experts at whole house humidifier installation and repair of home humidifiers in the Boulder / Denver and front range area, including Boulder Co, Longmont, and northern Colorado. 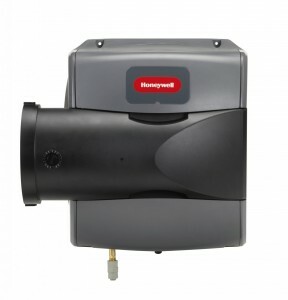 Enhance your family’s comfort and protect your home from the unhealthy and damaging effects of excessively dry air. Dry noses, cracked skin, itchy skin, and sore throats are some of the effects of dry air. It can also aggravate allergy and asthma symptoms, and cause those irritating static shocks. What about your home finishes? Chipping paint and plaster; splitting or cracked wood floors, furniture, trim and molding. Sound familiar? Why go through another season with these problems when you can solve the issue with a whole home humidifier as part of your home heating system? Turning your temperature up in the wintertime will keep you warm but can actually decrease your home’s humidity level. According to medical experts, many viruses thrive in low humidity increasing the likelihood of catching colds, flu and upper respiratory ailments. The American Society of Otolaryngology even reports that it is important to prevent an overly dry environment because it makes people more susceptible to infection. A whole house humidifier installed by the professionals at Ameri-Mech, will deliver the perfect amount of moisture to your air making you feel more comfortable at lower thermostat settings. In fact, the EPA states that you can save up to 4% on your heating bill for every degree you lower your thermostat! Increase your family’s level of comfort and protect your valuable furnishings by adding just the right amount of moisture. 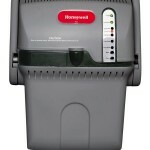 So, if too dry an environment is your problem, consider installing a humidifier. Clues you could benefit from a humidifier system is awakening with a sore throat, dryness in your nose, or even a nose bleed are signs of too little humidity. 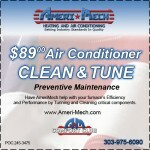 See other Ameri-Mech heating and air conditioning air quality products.